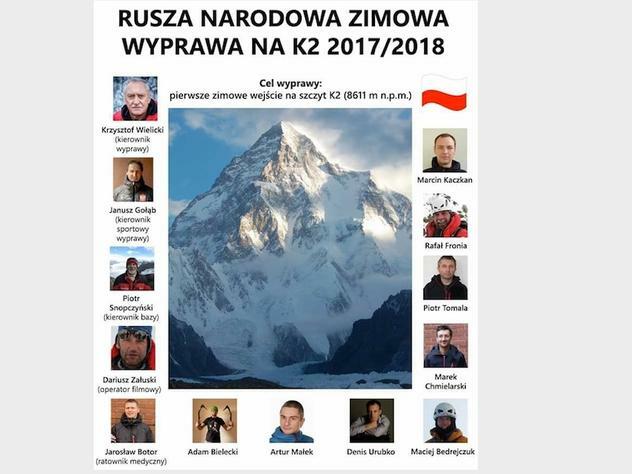 National Polish Winter K2 Expedition. One might say that winter expeditions into the Himalayas were invented by Polish people, mainly by Andrzej Zawada, becouse he is considered as the originator of the idea. 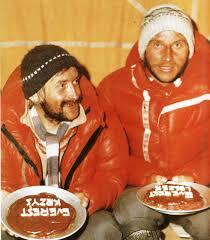 When started climbing in winter Poles began with a great success which was reaching the top of the Everest. It happened on 17th February 1980 as Leszek Cichy and Krzysztof Wielicki reached the top of the highest mountain of the World. It’s important to remind that first 7 of all eight-thousanders mountains were reached by Poles who became famous and British mountaineers called them “ICE WARRIORS”. These first 7 peaks were reached by Polish climbers between the years of 1980 – 1988. That is why those times are also called “The Golden Decade” of Polish Himalaism. In later years, Poles also reached three other peaks inwinter times, whereas two of them were reached only by Poles and the third one was reached by a Polish – Italian team (Piotr Morawski Simone Maro). K2 is the only mountain that wasn’t reached duringwinter season and that is why the Polish expedition is so important and the top would be a beautiful coronation of Polish successes of winter climbing. As this table shows, Polish climbers have dominated first winter ascents of the 8000 meter peaks. Are Ice Warriors really back ? Polish Ice Warrios Team is back, but… it is a New Team..
Is K2 going to be their next success ? ** see alsoee : – 30 rocznica PIERWSZEGO zimowego wejścia na Mt. Everest: droga do sukcesu. * all my posts: Krzysztof Wielicki and his expedition in the Himalayas.